Harder Version for Home Cinema Release? 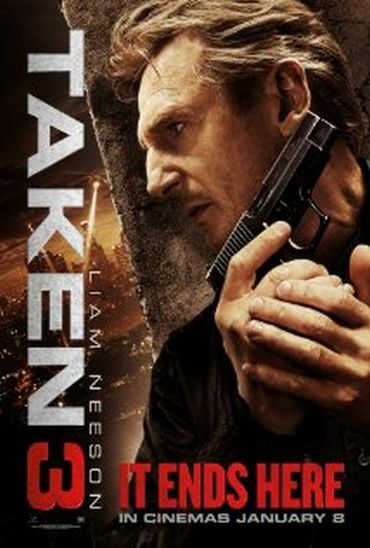 Just like its predecessors, Taken 3 was probably immensely censored for the theatrical PG-13 rating in the US. Since that version was most likely shown everywhere else, as well, that affected the whole world up to now. But it's hard to argue against it from a business standpoint with a global box office of $267 million for the last film of the trilogy. But the tagline "It Ends Here" doesn't necessarily come true in terms of the release strategy. While part 1 and 2 got the Unrated Cut treatment later on DVD/Blu-ray, it was all too likely that the same would happen for Taken 3. However, the big retailers such as Amazon do not yet give any info on the specs of the upcoming home video releases. But when you look at the British retail chain HMV, you discover a nice surprise. Their exclusive steelbook edition has the branding "Extended Cut" and can be purchased only in their physical stores, not online. We don't want to nitpick too much but if you keep in mind that the British theatrical version was further censored for the 12A rating, it can't be ruled out completely that HMV might just mean that their Blu-ray will contain the "normal" PG-13 version without additional British cuts. On the other hand, the Australian Ratings Board has classified a harder version of the film which adds to the theory that this will really be an Unrated Cut. It's unlikely that the "only in HMV stores" situation will generate a lot of frustration since it's doubtful that other countries will deliberately miss out on the longer and probably harder version of the film for the home video sector.